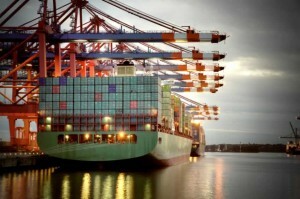 Viking performs the clearing of goods through customs barriers for importers and exporters (usually businesses). It involves the preparation of documents and/or electronic submissions and calculating the taxes, duties and excises, on behalf of the client. In addition, Customs Clearance, facilitates communication between the importer/exporter and governmental authorities. Customs brokerage firms consist of custom brokers who are affiliated with freight forwarders or are freight forwarders themselves. Customs brokers can have independent businesses or are employed by shipping lines, importers, exporters and trade authorities. The world does not move without customs brokers. Freight forwarder is a person or company that organizes shipments for individuals or corporations to obtain large orders from the manufacturer or producer to the final point of marketing. Forwarders will contract with a carrier to assist the movement of goods. A forwarder is an expert in supply chain management. In other words, a freight forwarder is the “middleman” for the cargo industry. Forwarders will contract with carriers to move cargo ranging from manufactured goods to raw agricultural products. Freight can be booked on a variety of carrier types, such as: ships, airplanes, trucks, and railroads. Have Questions? Ask Us Now. Viking Sea Air Freight Inc.